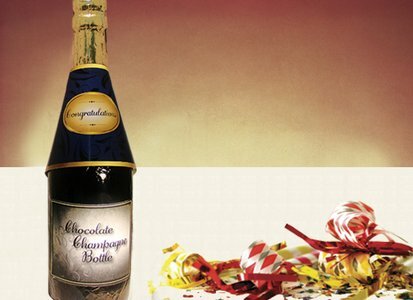 Full-size Chocolate Champagne bottle is molded with the finest Belgian milk chocolate. Chocolate euphoria results when you say Congratulations with our milk chocolate champagne bottle. Each bottle weighs 12oz and is wrapped in green and gold foil.